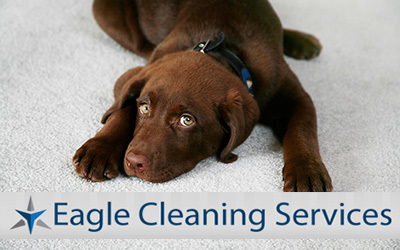 Eagle Carpet Cleaning Charlwood offers local same day carpet steam cleaning services. FREE sanitising deodorising.Call 1800 233 023 for free quote today! Welcome to Eagle Cleaning Services – a true destination for those looking for genuine, professional, and affordable carpet cleaning services in Charlwood. Eagle Carpet Cleaning Charlwood offers you a complete solution for all types of carpet cleaning including steam cleaning,dry cleaning, stain removing etc. We are the pioneers of carpet restoration services and we take pride in our 20 years of successful career in the cleaning industry. We are known for delivering quality and reliable carpet cleaning services to domestic as well as commercial clients throughout Charlwood. If you too wish to give your carpets a brand new look without making a hole in your pocket then pick up your phone and call Eagle Cleaning Services right away! Do you know your carpets need regular professional cleaning to stay clean, hygienic, healthy, and to last long? Yes, home cleaning methods do not do justice to your valuable carpets. Contaminants like bacteria, mould, virus, pollens, and allergens reside deep within the structures of the carpet. And all this happens over a period of time with regular usage. Carpets are used on daily basis and that is why they attract dust on daily basis. This gets accumulated and makes your carpet conducive for the growth of all kinds of pollutants and contaminants. Homely cleaning techniques – such as vacuuming – are insufficient to do deep cleaning of the carpets. Carpets embedded with contaminants are dangerous for the health of all inhabitants – adults, kids, and even pets. Dirty carpets can lead to itchy skin, sneezing, running nose, coughing, and even asthma. Air borne diseases are also common in houses and offices where carpets and upholstery are not professionally cleaned regularly. So if you wish to stay healthy, you need to keep your carpets clean and hygienic. And for this we at Eagle Cleaning Services are always at your service! And at Eagle Cleaning Services, we promise to give a complete makeover to your carpets with our professional carpet cleaning Charlwood. The process begins with a thorough carpet inspection by our cleaners. This helps us pick the most appropriate cleaning solution for your precious carpet. The dry soil particles are removed using dry vacuuming. The stains of the carpets are treated with bio-friendly solutions that are tough on stains and do not affect the carpet. Carpet steam cleaning is accomplished through the procedure of hot water extraction. Our cleaners use hot water along with cleaning solution with high pressure for deep cleaning of your carpets. Once cleaned, we work on the pile setting of the carpet to ensure their softness. The next step is drying of the carpet that is done using air dryers. And finally, our cleaners do carpet sanitizing to give a fresh and cool feel to the carpet. For carpet dry cleaning, again our cleaners begin the procedure with a thorough inspection. Then the carpets are cleaned with dry vacuuming to eliminate dry soil particles. The washing process involves use of agitation tools to target even the deepest embedded contaminants. With carpet dry cleaning, it takes just 24 hours for the carpet to get completely dry and once it is done, we do post-vacuuming. This last step ensures that no residuals are left in the carpet and it is absolutely clean. A last carpet inspection is done in both the processes for your complete satisfaction. We give our customers complete satisfaction at Eagle Cleaning Services by providing guaranteed carpet cleaning Charlwood. Our guarantee ensures that if you are not happy with our cleaning services then we will be compelled to do re-cleaning at no extra cost. And trust us we don’t let that happen as we deliver absolutely flawless carpet cleaning in the first attempt only. What’s more? We provide all kinds of carpet related services such as carpet stain removal, carpet water damage restoration, carpet sanitizing, pet stain and odour removal from carpet, carpet repair, and so on at one. Whatever your carpet needs, just let us know and Eagle Cleaning Services will deliver the finest services at your doorstep! Great service!!!!! great price!!!!! great job!!!!! Thanks for providing a great service my mattress feels like new again. I always use Eagle cleaning service for any kind cleaning at my home and office. This time I called them for onsite curtain cleaning at home. I haven’t used their curtain cleaning service before. After cleaning , I am amazed to see the result. I love Eagle Cleaning Professionals. No extra cost to call them on public holidays. Thanks to Eagle Curtain and Blinds cleaning company for refreshing the looks of our curtains. I just want to let the people at eagle cleaning know how grateful I am at there prompt and efficient service. The staff were friendly and my carpets look great. thank you again. What a service nothing was a problem for these guys I was having tile and grout cleaned and some of the grout was a bit dodgy. The guy was prepared and was able to repair the grout at a minimal cost. I needed to call Eagle Cleaning Services Brisbane a couple days back when my husband dropped cup of coffee and mattress got a major stain of coffee. I attempted to cleaned it instantly yet didn’t evacuate. The group arrived that day to help me abstain from thinking about floor that night. They cleaned my mattress at an exceptionally magnificent cost. Much obliged to you for a decent occupation! Recommend to Everyone!! !